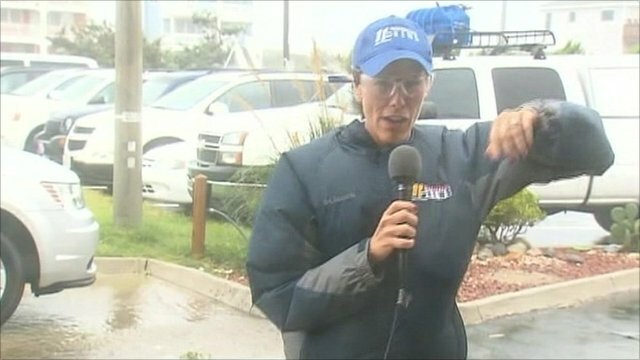 Hurricane Irene is pummelling the US east coast after making landfall in North Carolina, where it has caused flooding and damage. The 500-mile wide storm, bringing winds of around 85 mph (140km/h) is moving slowly northwards, with New York and other large cities in its path. More than two million people have been ordered to leave their homes. 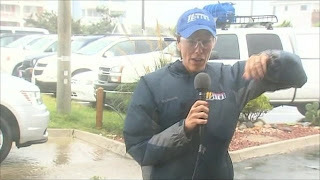 Irene remains a "large and dangerous" storm, US Homeland Security Secretary Janet Napolitano warned on Saturday. A first death caused by the storm has been reported in North Carolina. Authorities said it blew a large tree branch onto a man near Raleigh, killing him. prepare for the worst case"
In New York City, 300,000 people living in low-lying areas have been told to leave in an unprecedented mandatory evacuation. 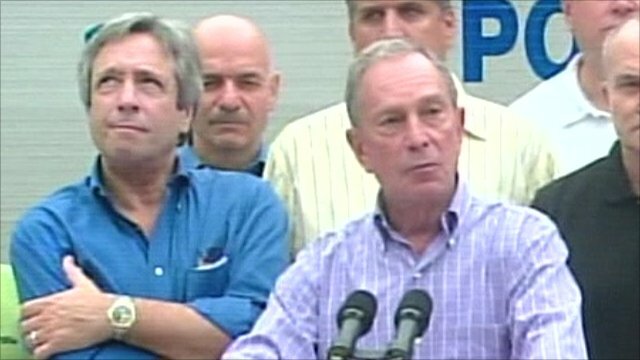 Mayor Michael Bloomberg said Irene was a "life-threatening storm" for New Yorkers and that it was "foolish" and "dangerous" to ignore the order. New York Mayor Michael Bloomberg: "You have to prepare for the worst case"
New York State is one of seven states from North Carolina to Connecticut to have declared emergencies. President Barack Obama, who cut short his holiday to return to Washington, had a conference call about the hurricane with emergency officials on Saturday. He earlier warned Irene could be "a historic hurricane" and that everyone should take the storm seriously. The National Hurricane Center has downgraded Irene from a category two to a category one hurricane but says winds gusting up to 90mph extend outwards some 90 miles from the eye of the storm. Tropical-force winds extend as far as 290m. The NHC expects Irene to weaken after hitting North Carolina, but it is forecast to remain a hurricane as it moves north along the Atlantic coast on Sunday. 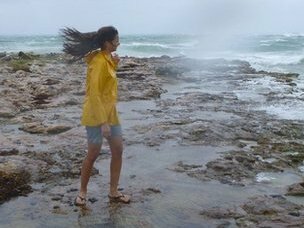 Are you in the path of Hurricane Irene? How are you preparing for the storm? You can send your pictures and videos to yourpics@bbc.co.uk or text them to 61124 (UK) or +44 7624 800 100 (International).